Cumberland & Dumfriesshire Farmers Mart held their Sale of Prime Cattle in Dumfries on Wednesday 11th December 2013. Heifers Limousin to 256.5p. 250.5p from D & R Cornthwaitem Balgrayhill to R Johnstone & Sons Annan. Charolais to 242.5p Tinwald Shaws, Dumfries to Border Meats Lockerbie. 58 OTM Cattle – Numbers were short of the increased buyers demand. More required weekly. Trade firmer. Per Kilo Limousin to 222p Balgrayhill, 165p Harleyrigg; Luing to 187p Craigdarroch, 142p Kirkland; British blue to 191p 170p Middlebie Rigg; Charolais to 189p Airds of Balcary, 151p Glenshalloch; Simmental to 150p, 135p Middlebie Rigg; Angus to 143p Middlebie Rigg, 135p Newlands; Holstein to 113p Rue, 106p Upper Locharwoods. 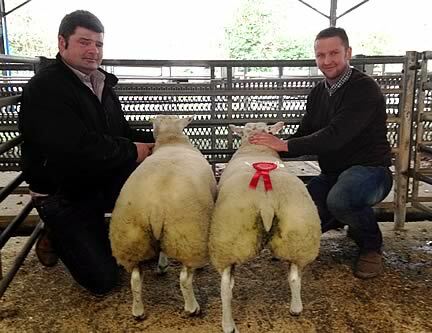 30 Pens of Show Lambs were presented to the day's Judge M Foster who awarded The Championship Trophy to D & D Aitken, Upper Cleugh with Dutch Texel Lambs 42Kg selling at £125 to The Judge. 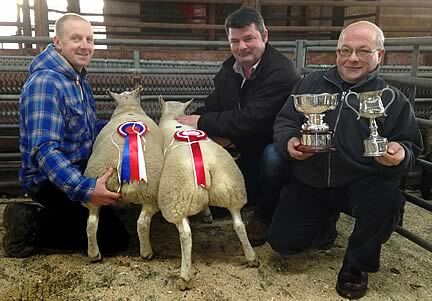 Reserve Champion was won by B Ryder, Newton Cottage selling at £106 (46Kg) to R Johnstone & Sons Butchers Annan. The Show was kindly sponsored by Natural Stockcare Ltd.
Leicester Tup to £116 Dalpeddar; Texel Tup to £99.50 Balgrennan.